Nick Cave and the Bad Seeds have just wrapped up their Australian tour in support of Cave’s moving, mournful and beautiful 2016 album Skeleton Tree. The record is his sixteenth with the Bad Seeds, but only makes up for a percentage of his immense creative output. He has arranged dozens of scores (many with the help of Warren Ellis), contributed to countless soundtracks, collaborated with, and covered music by other artists extensively, written prose, penned scripts, acted, and to top it all off, has also written seven books. The Sick Bag Song, a chronicle of notes jotted down on aeroplane sick bags during Cave’s 2014 US tour. The Death of Bunny Munro, Cave’s critically acclaimed second novel, released in 2009 – two decades after his first. The Death of Bunny Munro – An audiobook version narrated by Nick Cave himself. The entire package is worth more than $90 and we’re giving out SIX of them for free! 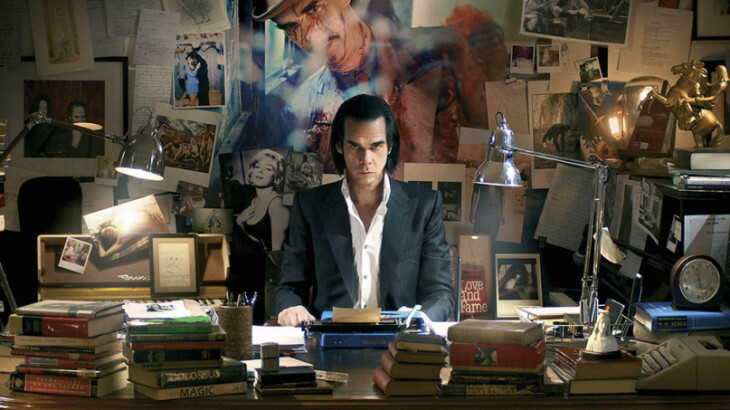 Email info@howlandechoes.com with “Nick Cave” in the title and a sentence or two about the Nick Cave song that means the most to you and why. Entries will be selected on Friday February 10, so get in quick! Also, a massive, massive thank you to TextPublishing for supplying the books!